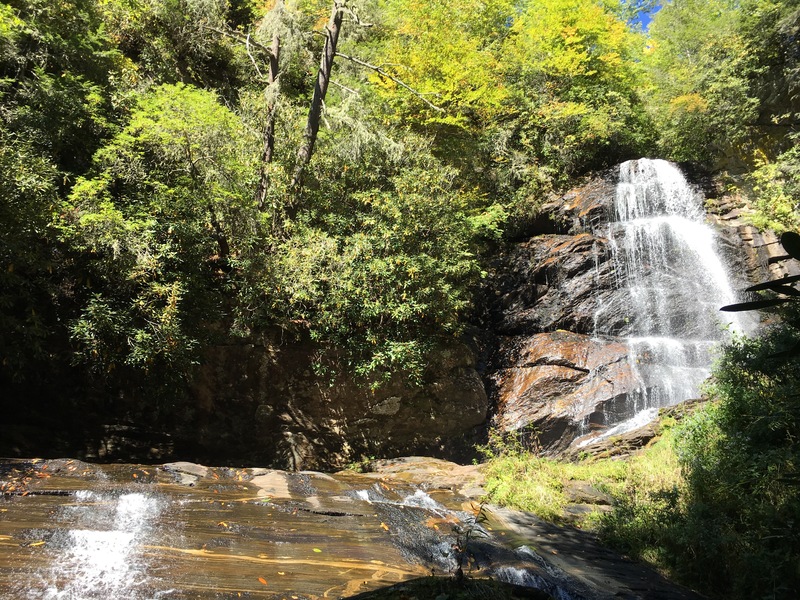 2016 has been the year of Kevin Adams, here in our NC Mountains! 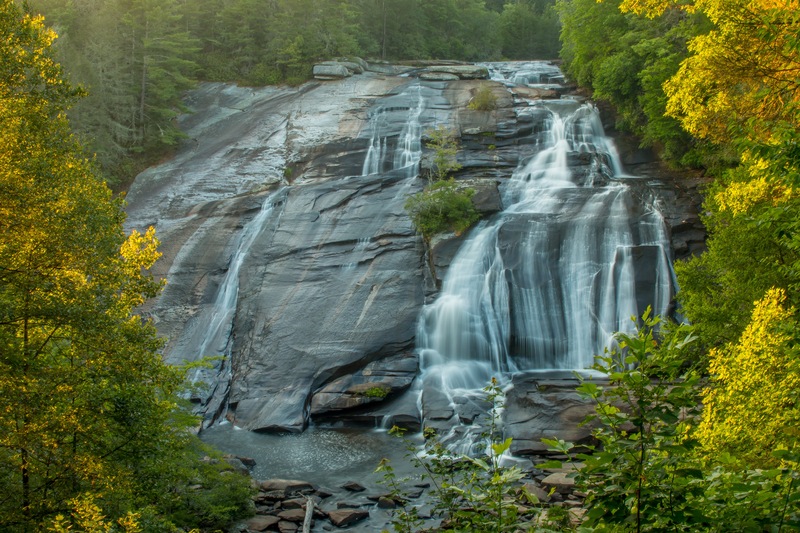 He has released a new, much anticipated and updated edition of his iconic “North Carolina Waterfalls” book. 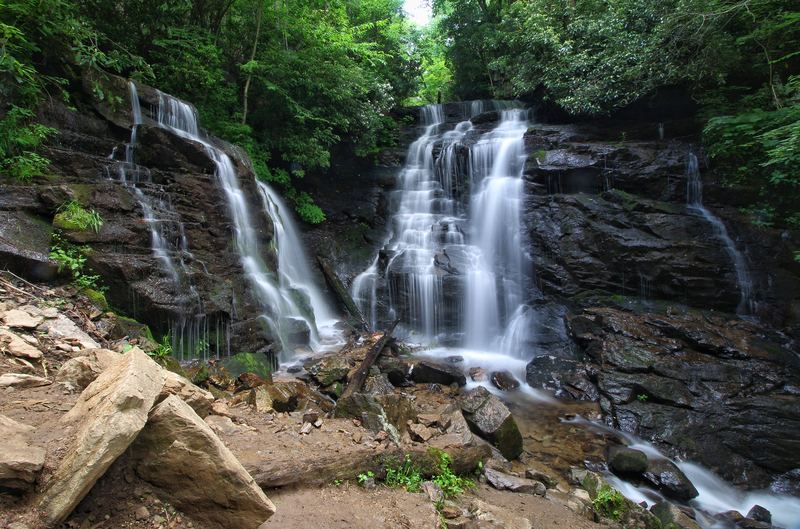 He has spent a good part of his summer making appearances at various western NC locations promoting his book and giving his waterfall and photography presentation. 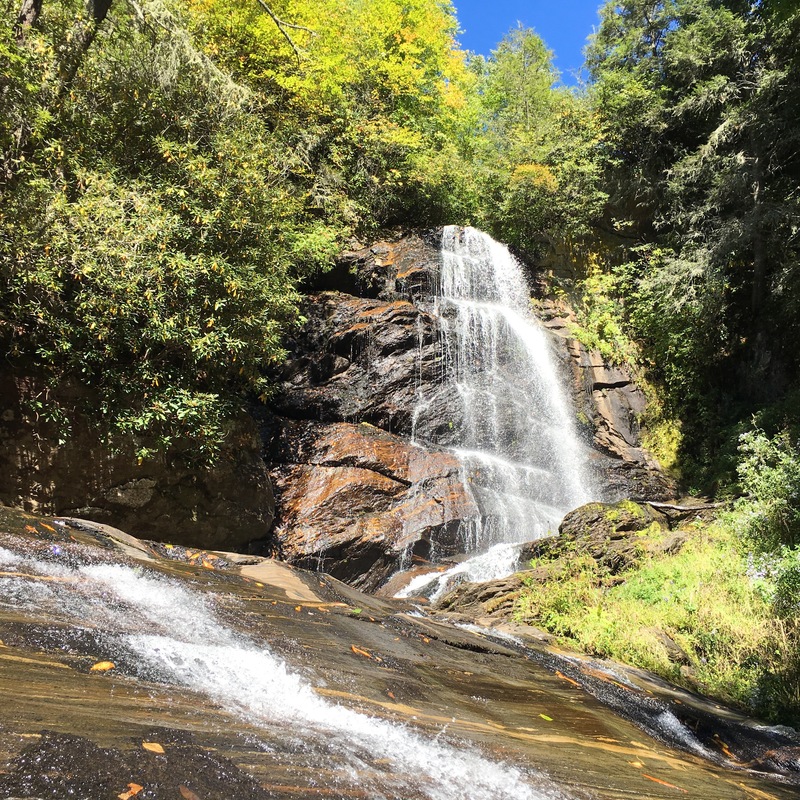 He has made waterfallers out of many of us common folks who once upon a time, had absolutely no clue of what wonderful treasures our hills were hiding. 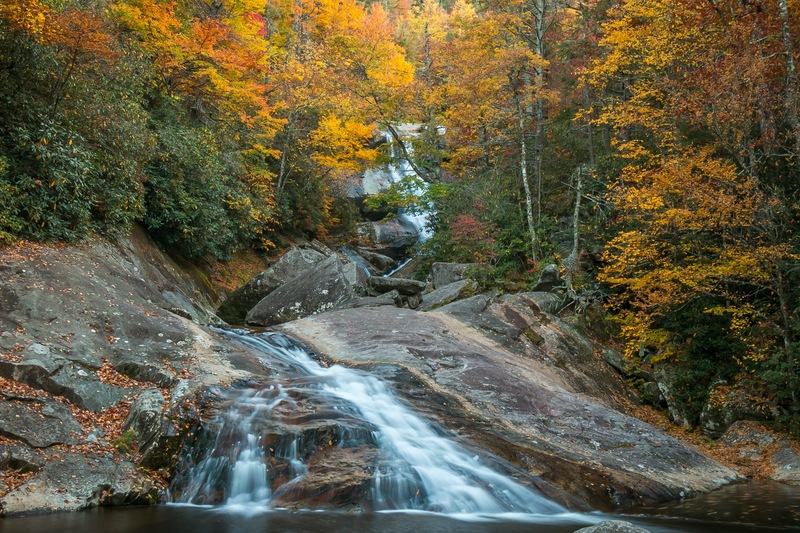 So in October .. when Kevin came out with a post on his North Carolina Waterfall Facebook page that listed the 11 top waterfalls for Autumn photography, I read with great interest. 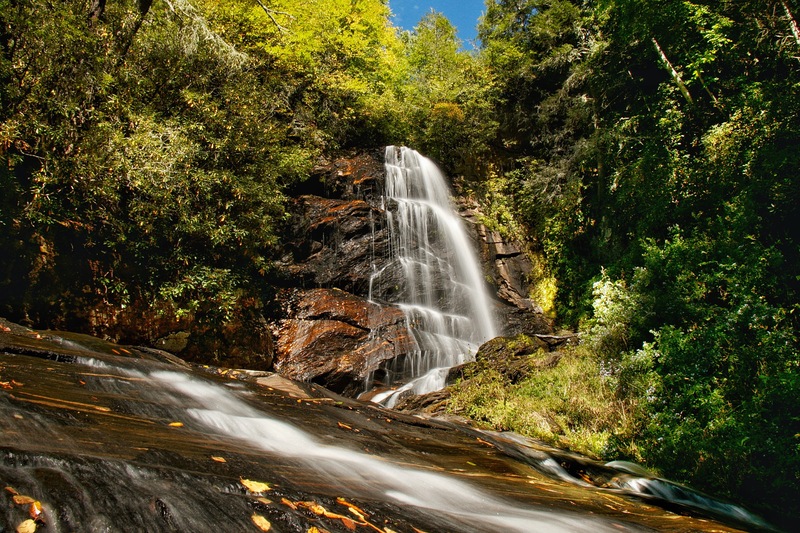 Number one on his list was Upper Sols Creek Falls. This is one that I had not previously visited. 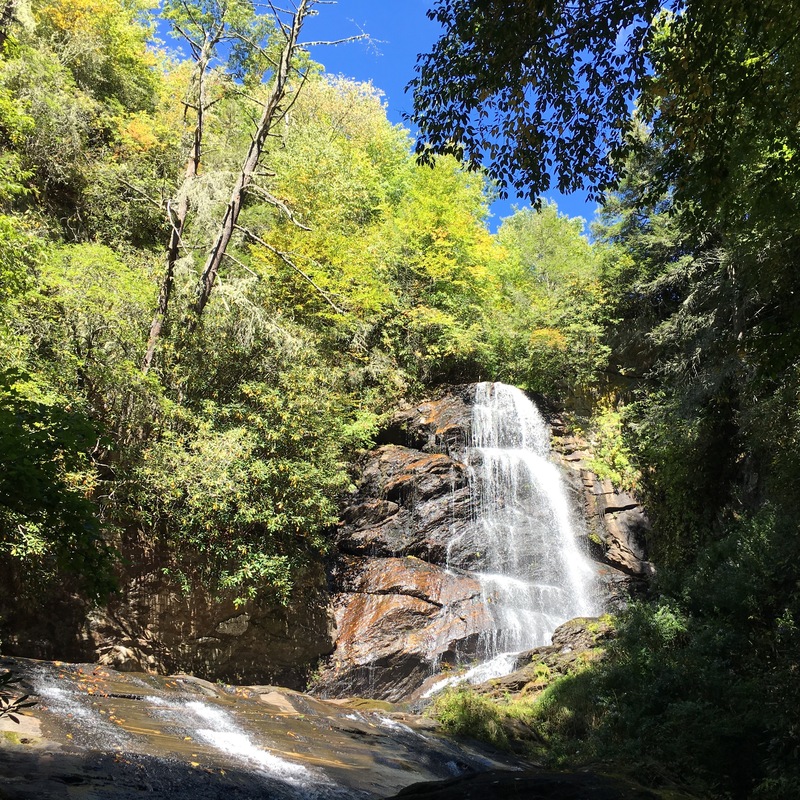 I had already seen some wonderful photos of this by some fellow waterfallers, and with the beginning of autumn here upon us, I headed out to see this one for myself. This one seems like it would be easy enough to find. The general location is along NC Highway 281, several miles south of Tuckaseegee at the 281 / 107 split. 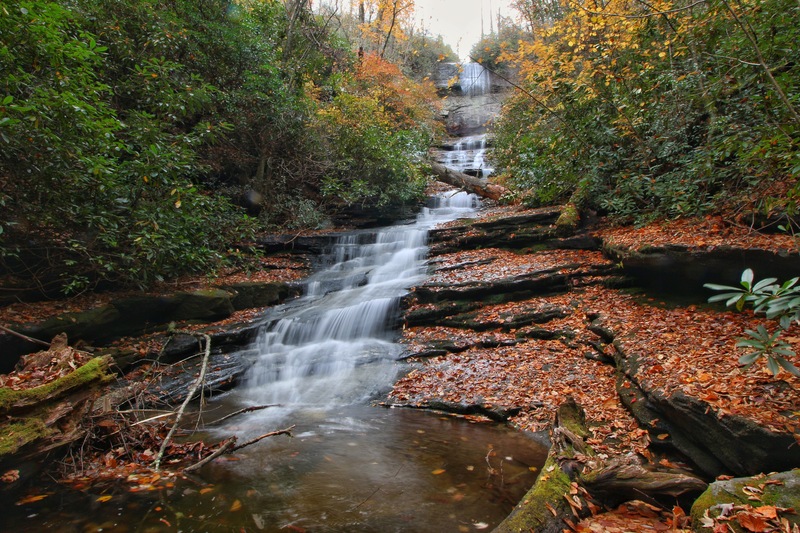 It is described to park just up the road from where NC 281 crosses Sols Creek. The first problem I ran into, was finding Sols Creek. I kept looking for a bridge to cross Sols Creek. I finally found the spot where it “should be” on the cell phone map and parked for a closer inspection. 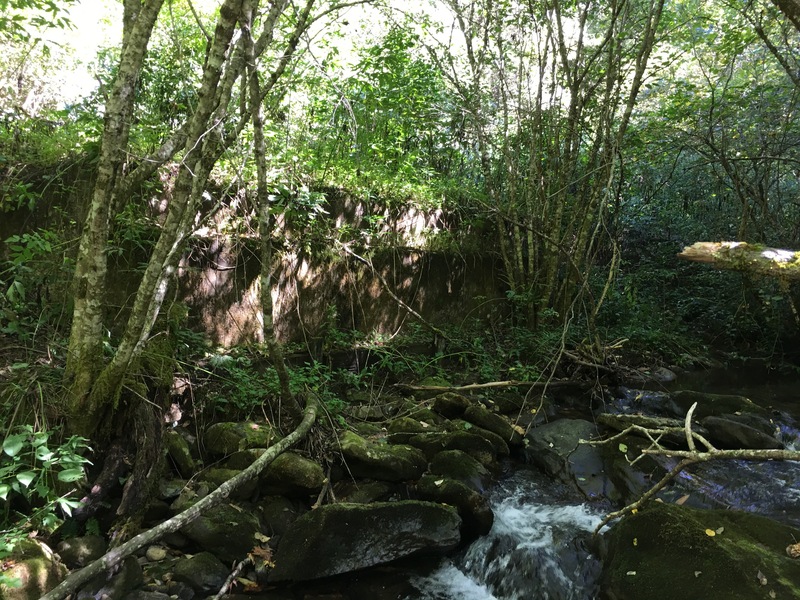 The way NC highway 281 is developed through here, there is very little indication that there is even a creek here. 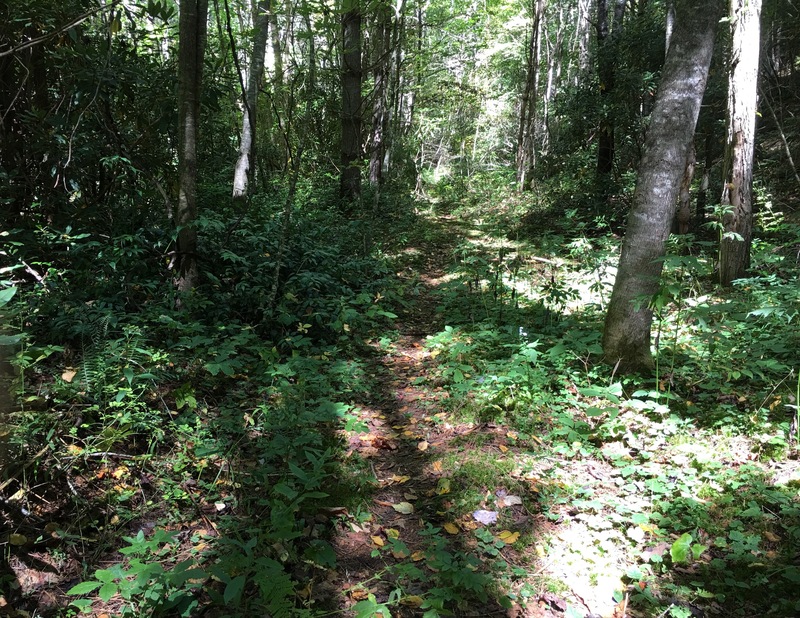 Only by stopping, checking GPS, and backtracking to where the road dipped to its lowest point before climbing back uphill, was I able to locate Sols Creek. I parked up the road a bit at what was a wide pull out on NC 281. I walked back to where the highway crossed Sols Creek. They have constructed it nicely, channeling the creek under the highway through pipes instead of a more obvious bridge. The trees are so thick heading upstream that the creek can not be seen from a car view. 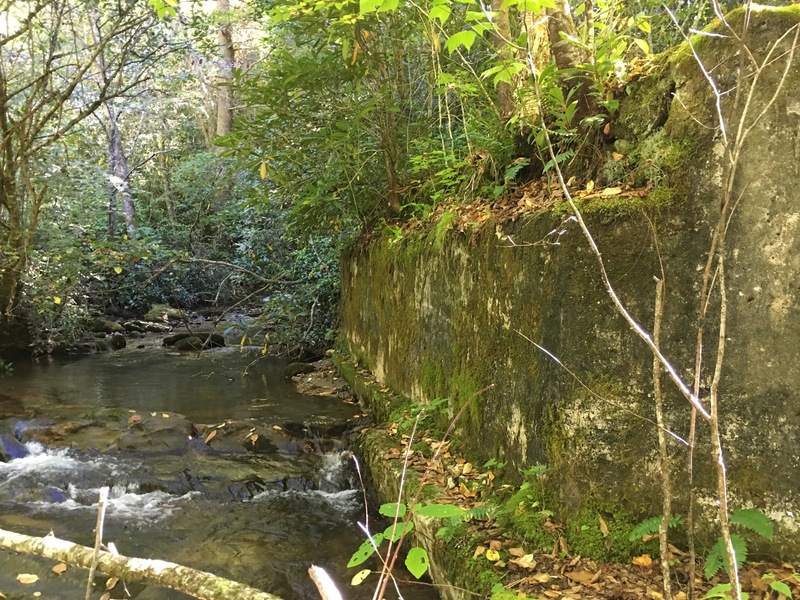 There is a gated road looking upstream on the left with No Trespassing signs. I was like “Uh-Oh”. 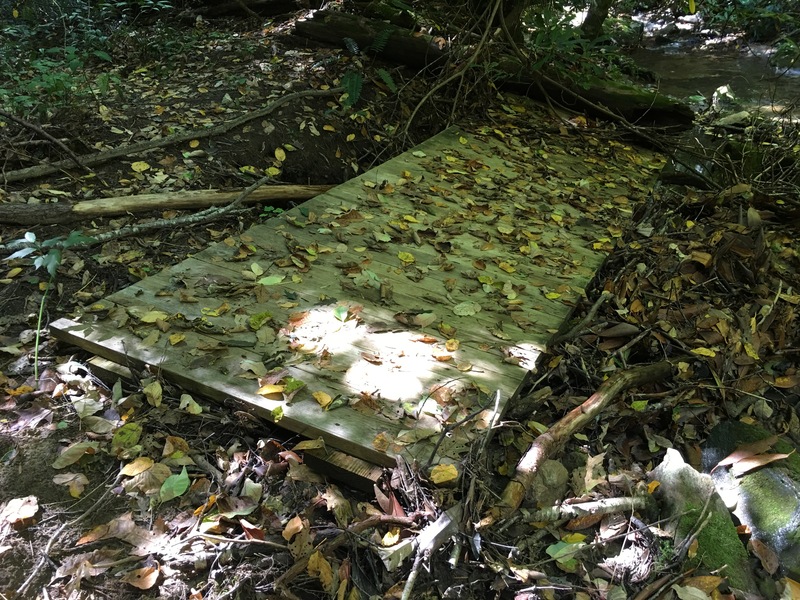 However, I trusted what books and my other resources said….that the Creek and Falls were on national forest property. 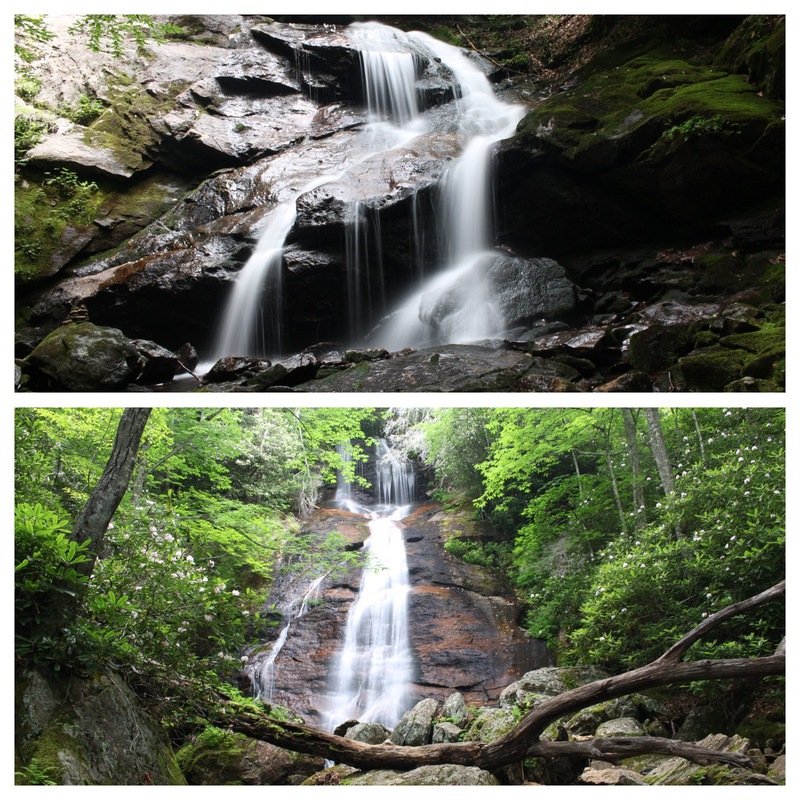 I avoided the road and crossed the guardrail into the woods, bushwhacking my way down to Sols Creek. 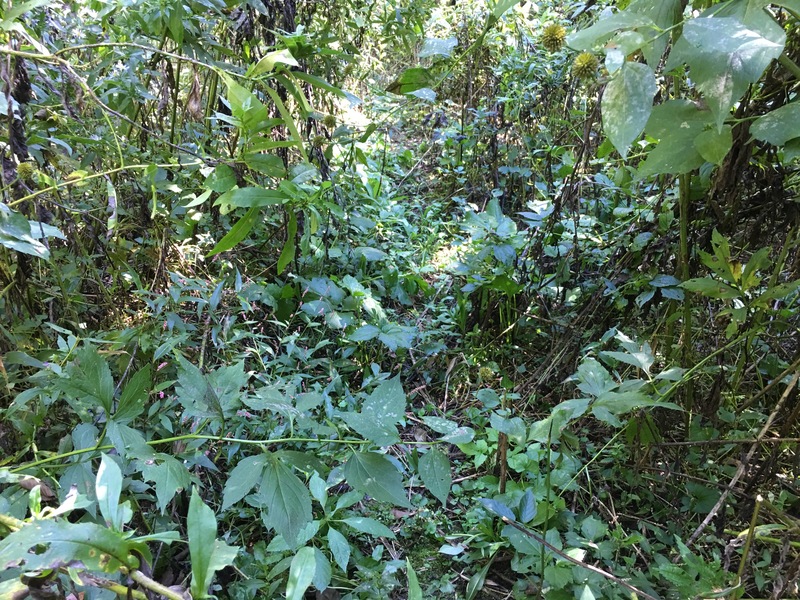 The vegetation was thick at first, but I was able to pick up a faint trail and followed it. 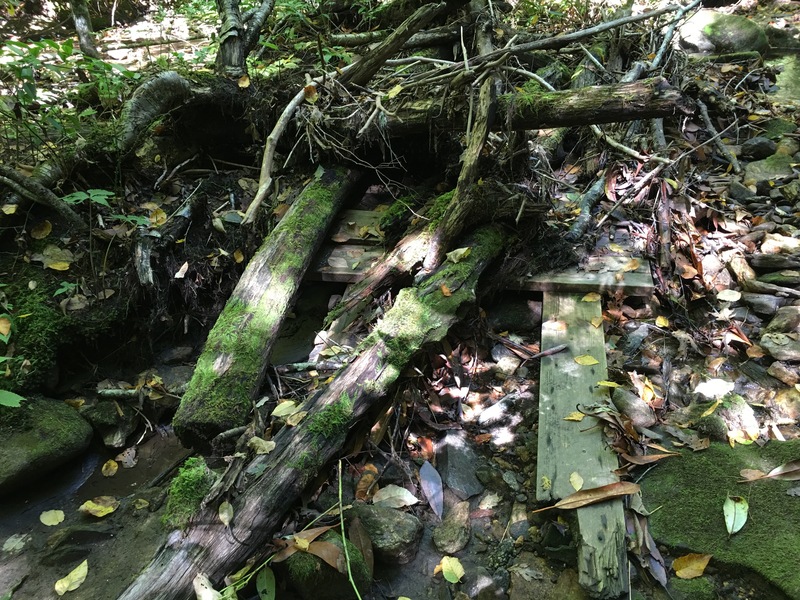 A creek crossing came soon where the remains of an old bridge and road remain. The forest has done an excellent job of reclaiming this land. The large concrete structures are all that give it away. 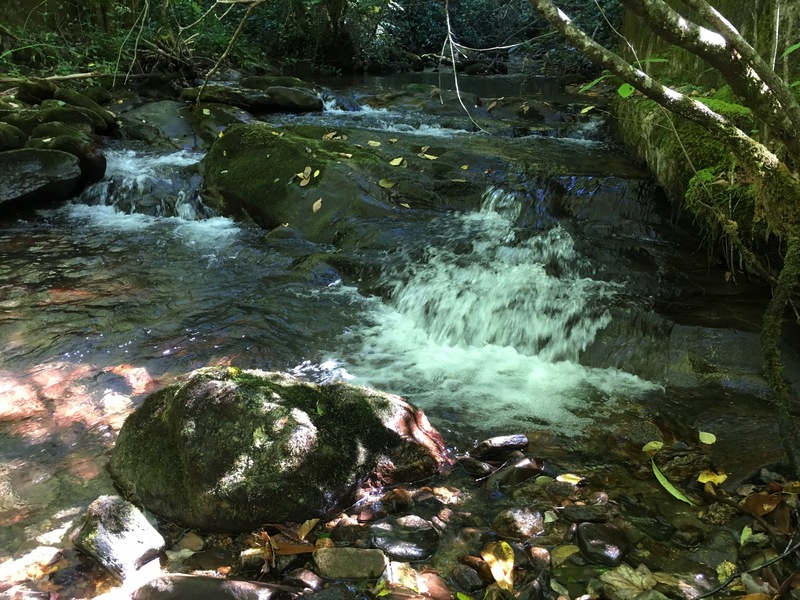 From here it is simply 1/2 mile up the creek, not a simple hike though. The trail will cross many times here. Keeping your feet dry is simply not an option. This is where my Keen water shoes came in very handy. 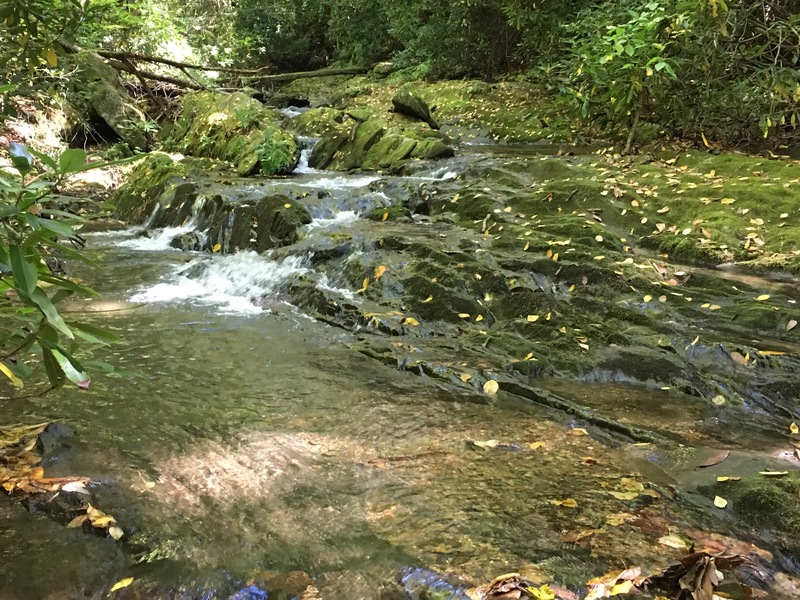 For those with little creek walking experience, this is a good stretch for Creek Walking 101. It’s fairly safe, and much easier than trying to keep your feet dry. 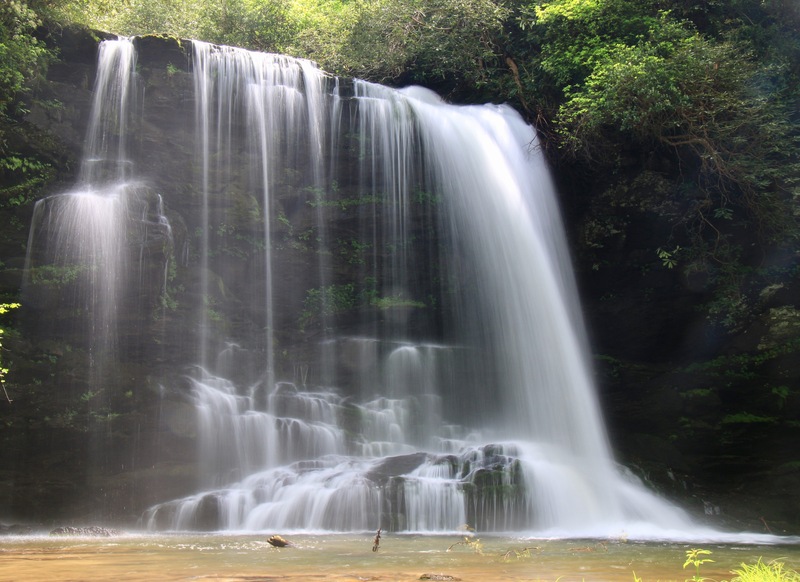 It was a beautiful waterfall, just nowhere close to optimal photo conditions though. Most of the shots here all came from a cell phone. The sun was too bright and the shadows were too harsh when trying to capture the whole scene. I climbed on the rocks some to get some closer shots and get the sun only shots, but just wasn’t the day. The leaves on the trees hadn’t even begun to change even though is was the 1st weekend in October. 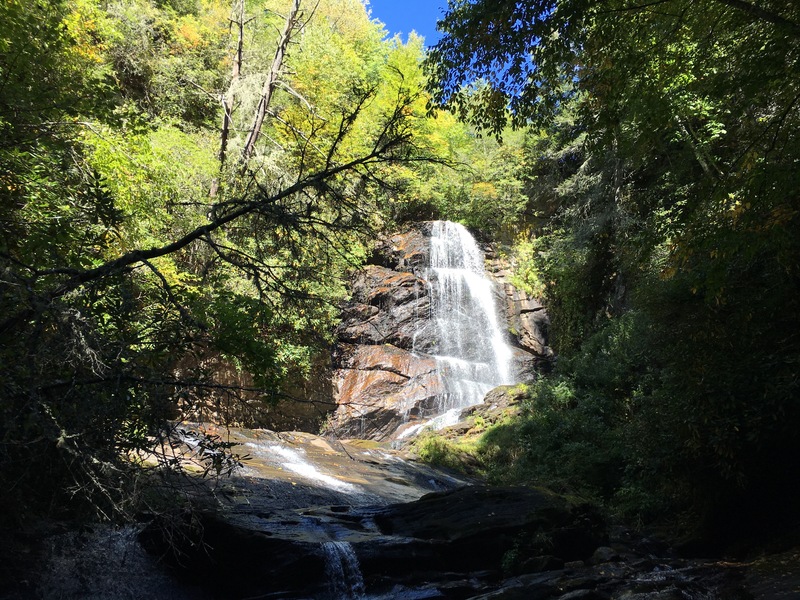 This is a good hike to either have some water shoes, or wear some that you don’t care to get wet. Once that issue is taken care of, it’s a pretty easy, short hike. I found it to be about 3/4 mile one way from where I had the car parked on NC 281. 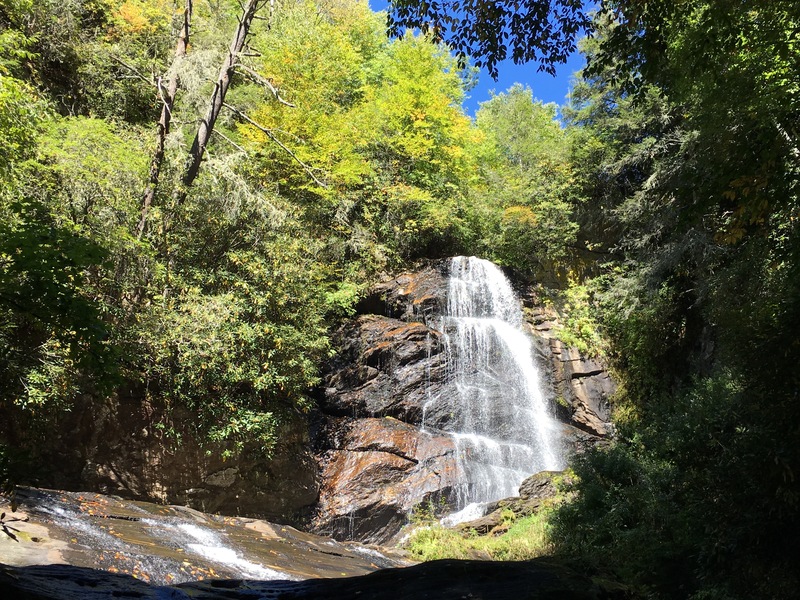 This would be a nice hike to go along with some other waterfalls closely including Paradise Falls, many of those in Panthertown Valley to make a nice day trip out of it.